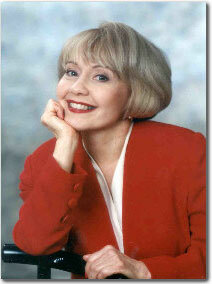 Dr Marilyn Miller is a Toronto Psychologist that offers Marriage counseling. Marriage counseling can be of benefit to any couple to assist in strengthening the bond between two people. Dr Marilyn Miller is a marriage counselor within the Toronto area eager to providing couples with an unbiased outlet and recommendations. The following questions will assist you in figuring out whether you can benefit from a Toronto marriage counselor. Do you want a closer connection with your partner or spouse? Are the demands of work, household chores, children and family pulling you in so many directions there is not enough quality time with your significant other? Do discussions turn into arguments from misunderstanding or scarce communication that is not working? This can be the beginning of relationship distancing especially if communication becomes scarce or is not working. At first, we may be too busy or distracted to notice that we are neither giving nor receiving enough attention to or from our best friend, lover and life partner. Perhaps, we hope things will change for the better or problems will disappear. However, if communication breaks down, misunderstanding and conflict may increase and problems seem too large to resolve. Couples or marriage counseling can help turn things around so that your relationship grows and becomes enriched and fulfilling. Contact marriage and relationship counselor and Psychologist, Dr Marilyn Miller, of Toronto, today for more information.